We have made three parts, BBa_K2078000, BBa_K2078001 and BBa_K2078002, using the cloning strategies described on the strategy pages. We used standard assembly method using restriction digestions and ligations. We have shown that using the consensus promoter sequence slows down the expression of genes following it and that this affects the growth rate of E.coli. However, as the purple colour indicates amilCP is being expressed which means that the promoter-ORF construct works. Figure 1.5 constructs after transformation. Growth of colonies indicates successful transformations. Plates that contained transformations with vector only (no insert) had no growth. Figure 2.J23119_K592025_24hours. This shows purple pellet indicating the production of amilCP, which means that the construct is successful. Doing minipreps around construction crews that set of fire alarms makes them fail. These have to be carried out in continuity. Using DNA stains from National Centre for Biotechnology Education kits for High Schools is unadvisable. Whilst they are meant to be sensitive enough for the plasmid concentrations that we were getting, the need for long staining and destaining which results in the DNA diffusing through the gel make this impractical. SybrSafe and a Blue translumination box are necessary if gel extraction is a part of the protocol. 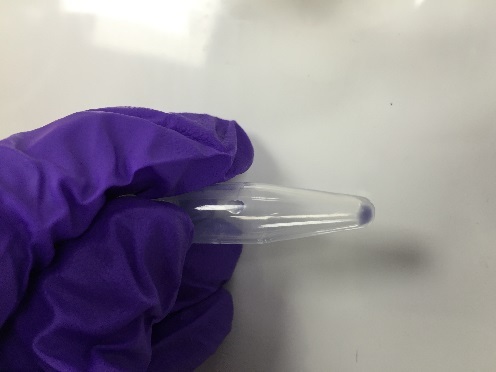 Figure 3.Gel showing faint bands from minipreps, but demonstrating the lack of sensitivity of the DNA stain we were using. Need to check all the parts before starting the cloning. We were aiming to make five parts, two of which would contain large porins and riboflavin synthesis genes. We got quite far with the strategy and have cloned these parts, but we failed to find a suitable RBS for them that would work in cyanobacteria and had to abandon this line of work. We have managed to create the pDF-lac plasmid containing the two constructs we wanted to test (BBa_K2078001 and BBa_K2078002). We transformed E.coli with these and amplified them. We extracted them using minipreps. The concentration of the plasmid in minipreps was very low (about 50ng/ul), but this is expected as it is a low copy plasmid. 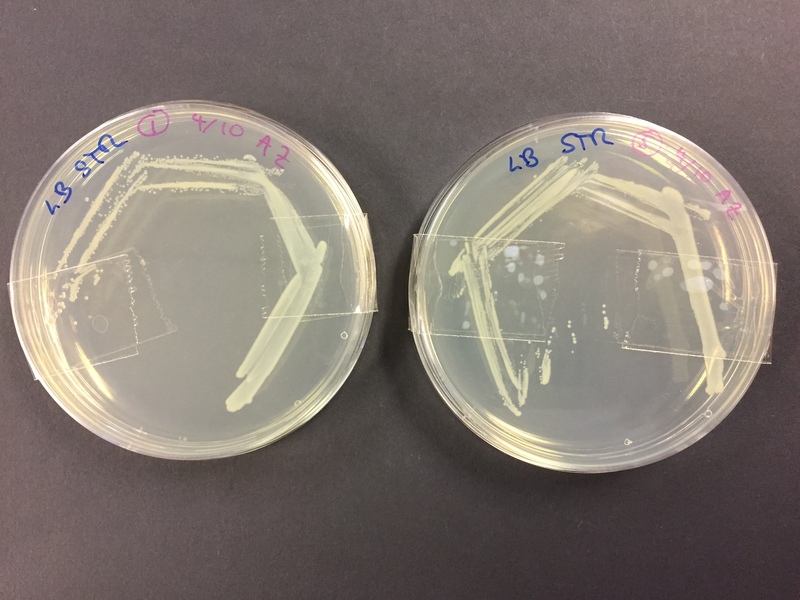 Figure 4.Plates with streptomycin/ spectinomycin showing growth of E.coli transformed with pDF-lac plasmids. 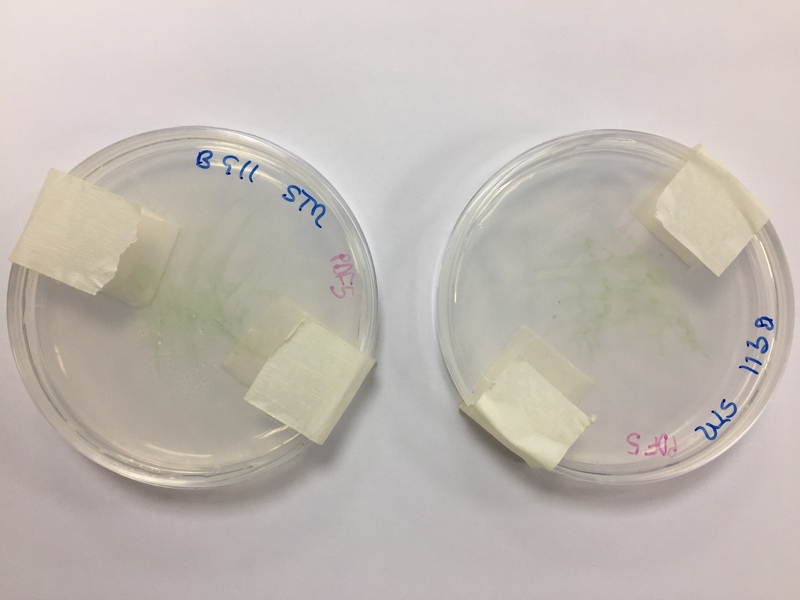 Following natural transformations of Synechocystis PCC6803 and the initial bleaching stage, there was some growth of transformed colonies (image bellow). The growth was very slowly, indicating that the plasmid was indeed a low copy plasmid, and that the expression of all the genes from this plasmid might have slowed down the overal growth. 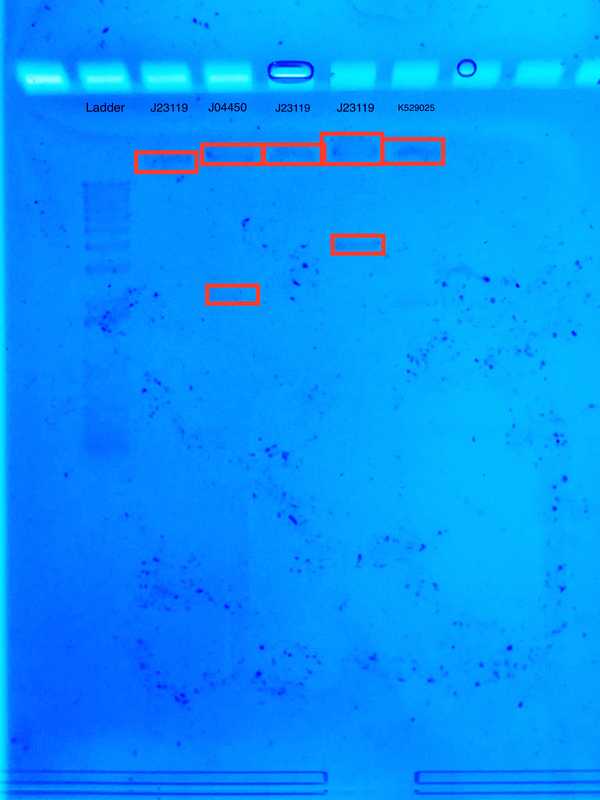 Figure 5.Plates with streptomycin/ spectinomycin showing growth of Synechocystis PCC6803 transformed with pDF-lac plasmids. Synechocystis PCC6803 grows really slowly. This makes transformations of it very difficult, particularly for a project with a time limit. Plasmids available for introduction into cyanobacteria are rare and the ones that are BioBrick compatible are almost impossible to track down. Non-BioBrick compatible ones are difficult to clone into as pDF-lac plasmid tends to fail when using two restriction enzymes (several tries were needed to get the right digests) and using blunt end cloning would require additional steps to identify the right transformant. pDF-lac plasmid is also a low copy plasmid making transformations even slower than usual. We measured the growth by setting up a starter culture in liquid BG-11 medium and taking samples every day and measuring their absorbance using a colorimeter. We did this using different filters, in order to establish which filter was the most useful. We opted for 680nm filter in the end. We have noticed increased rate of growth in the exponential phase, which is a good indicator that the product of the cmpA gene might be improving the growth of Synechocystis PCC6803. 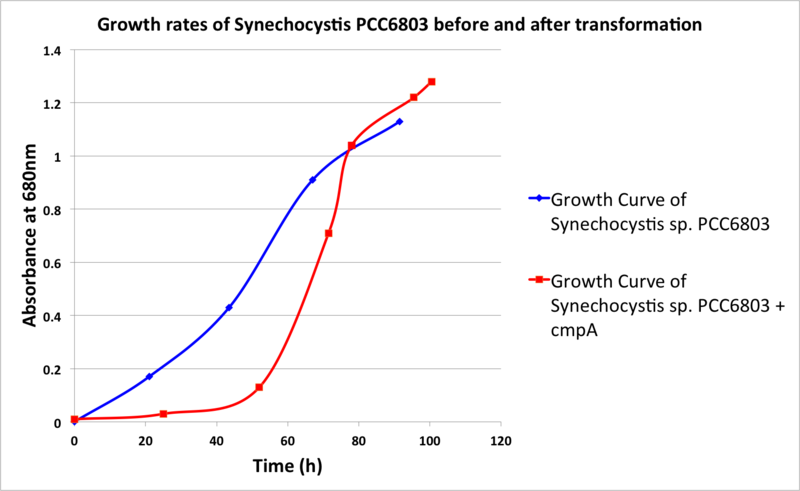 Figure 6.Growth curves of Synechocystis PCC6803 untransformed and transformed with the pDF plasmid containing the cmpA gene. That using dilution plating doesn't work for this organism. 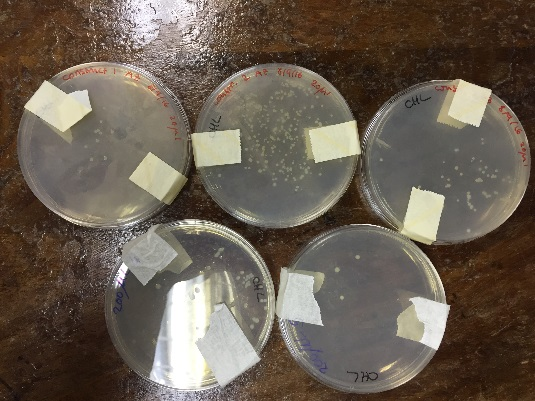 We tried this approach for a week and realised that we don't get individual colonies developing on any of the plates and that the growth rate of Synechocystis PCC6803 is too low to be noticeable in time to record any meaningful results. We investigated the effect of differing amounts of time exposed to light in solar cell conversion of light into electricity. This was done using a voltmeter with connecting wires on the electrodes of the fuel cells. We recorded the voltage at 10-second intervals for just over ten minutes (620 seconds) at the light intensity of 790 lux. Therefore, we were able to measure the potential difference against the amount of time following the solar cells’ exposure to light. The solar cell we used as a control showed a decrease in voltage over the 620 seconds starting at 80mV and finishing at 68mV. 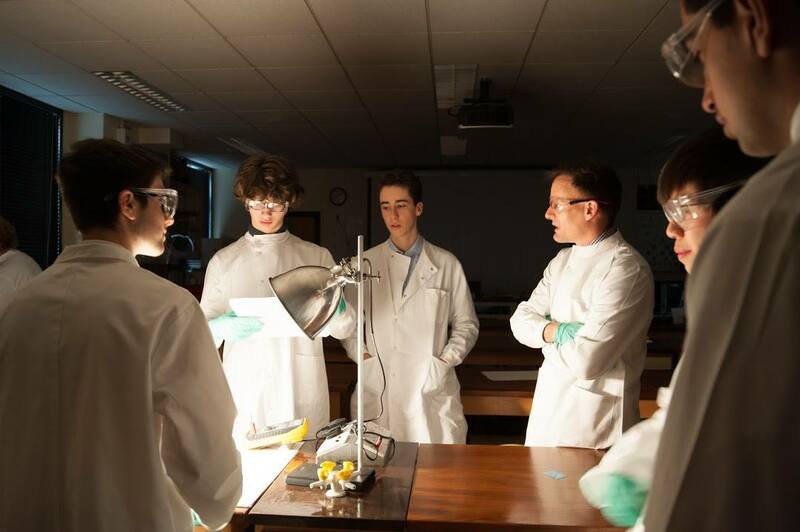 The cell that showed the biggest increase in voltage (146mV to 258mV) was the one that was kept in dark overnight and then exposed to light, thus replicating the real world conditions. Following the transformation with pDF plasmid that contained cmpA gene, we didn't notice the increase in voltage or the rate of voltage change/ generation. This indicates that this change, on its own, is not sufficient to bring about the increase in the efficiency of the BPV cell. Figure 7. Comparison between the initial measurements and measurements of voltage with transformed Synechocystis PCC6803. Transforming Synechocystis PCC6803 is extremely difficult and plasmids available tend to be low-copy plasmids, whose expression itself might affect the processes within the cell. Standardised, BioBrick compatible and high-copy plasmid is urgently needed for cyanobacteria. We managed to transform Synechocystis PCC6803 with a low-copy pDF plasmid that contained amilCP gene linked to a constitutive promoter. Given the lack of purple colour (or indeed any colour other than green), we can conclude that amilCP is either not expressed in Synechocystis PCC6803, or that its colour is masked by the colour of the photosynthetic pigments produced by the cell. Either way, it cannot be used as a reporter protein in cyanobacteria, at least not without some spectroscopic method.